Golden Gate Sign Company is the commercial signs company that you need to make your business and products gain name-brand recognition. We make top-quality commercial signage for clients across a spectrum of industries and employ a trained and capable staff who will meet with you to learn your specifications. Our San Francisco Bay Area-based company has served Oakland and other major cities, and we're excited to go to work for you - we're equipped for everything from neon and LED commercial signage fabrication to high-volume banner and awning printing, guaranteeing that we'll have whatever you need. When you choose to work with our commercial signage professionals, you're choosing a sign company that will be your partner for years to come. Not only do we work personally with you to design, fabricate and install the perfect sign that suits your business or organization, but we also offer sign repair services as well as regular maintenance to ensure the quality, visibility and longevity of your new sign. Let us help you represent your establishment at its best! Church Signs: Golden Gate Sign Company makes and manufactures church signs of all types. Dealership Signs: We have years of experience designing dealership signs for businesses across California. Bar Signs: Guarantee a navigable establishment with bar signs from Golden Gate Sign Company. Sports Stadium Signage: Show your team's name with pride - call us for sports stadium signage. Movie Theatre Signs: Turn to Golden Gate Sign Company for attractive and functional movie theater signs. Golf Course Signs: Call us about our golf course signage design service. 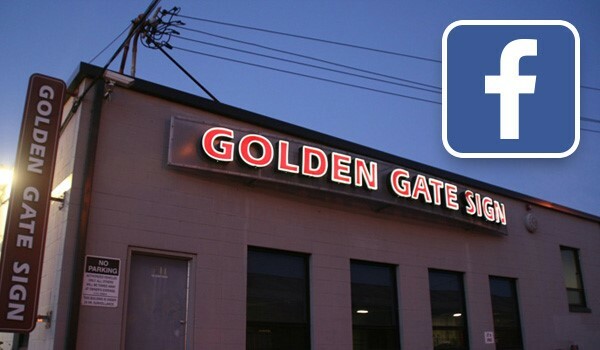 Contact the commercial signs experts at Golden Gate Sign Company - we're waiting to hear your requirements. Fill out our no-obligation quote form to receive your FREE estimate or call today with your commercial signage specifications.